SLAB and CAS/CAB all caught telling porkies.Oh well now the complaint is out in the open (good thing,should be more of this so we all get to know what these sharks are up to) there must be a proper investigation and more newspaper coverage! 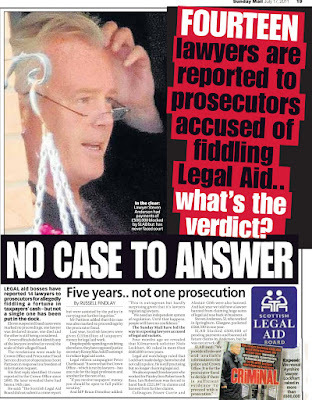 Clearly a problem here where citizens advice first deny any wrongdoing by Anderson and tell legal aid the same then it's full reverse after newspaper exposes all. I went to Hamilton Citizen Advice ten years ago and showed an advisor there how my well known Glasgow lawyer took no action in respect of my case, but of course I know know all parties were insured by Royal Sun Alliance. The advisor (who was not a lawyer) agreed from the documents and the pattern they showed the lawyer I had was not on my side and that is the point. They are never on their clients side and they infiltrate every complaints structure like cancer being transmitted via the circulatory system. I can tell the public the taxpayer funded lawyers who are at the CAB are the same as the Law Society, there to point lawyer victims in the wrong direction. As a resident of Hamilton there is not one law firm I would trust, in Hamilton or Scotland. Oh they want to help you but the help is always conditional. They are all the same when their colleagues are at risk. That is why the justice system is seriously flawed, Court doors cannot open if you want to sue a lawyer because you need a lawyer to get you there. Yes new Lord President, the system is an anachronism, designed to protect its own actors. Will you overhaul it to give the rightless rights? Time will tell. If the past is indicitive of the future more clients will join the campaign because the theives Scotland's lawyers are know the Law Society and its offshoots is their stay out of jail card, a union formed by the like minded to protect their own. Karl Marx said "ideas gain their material force when appropriated by the masses". 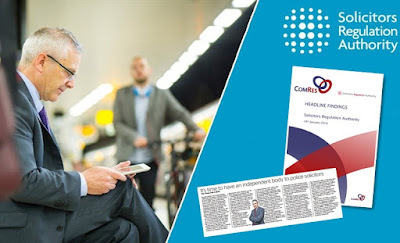 All you newspapers out there, the ones not reporting this story, shame on you, you must have lawyers at the help controlling what you publish like this chap at the Hamilton CAB. The best advice I can offer the public is trust no lawyer, they all have the same drive to protect each other. So Anderson does what at Hamilton CAB if he is paid by SLAB and claims to be a lawyer?? Are there any examples of successes from these in-court advisers who are supposedly not lawyers or paralegals and if they are advising on court matters do they have any experience of law at all or is this just a 300K exercise to give jobs for the boys and pretend there's help when there isn't? I think we need a full study of what these in-court advisers are getting up to and exactly who they are all recommending to people who desperately need real help because lets face it if the situation has got so bad you have to go to a Citizens Advice then you really need help and not someone to mess you about even more than you already are. Hamilton has no Police force by the sounds of it,right? The unavoidable conclusion from this is Anderson knew exactly who O'Donnell is and his current status. Where is the Law Society/SLCC investigation of Anderson's actions in referring clients of a CAB to a suspended solicitor pretending to be someone else? Some action needed on this soonish also hope to hear of other victims coming forward as there may be a few who either don't realise what is going on or are too afraid to speak out. Keep up the good work Peter/Diary of Injustice. I must say this Peter you and the Sunday Mail are doing a fine job of naming & shaming - a lot better than the Law Society/SLCC will ever manage! Message to everyone - stay the hell away from lawyers and law firms in Scotland because you are going to get ripped off no matter who you are,how smart you think you are,or how well you think you know your lawyer! SLAB's vetting for these positions must be a joke,like everything else in SLAB.Just try applying for legal aid to fight another lawyer and notice the 100 knockbacks for funding! Now there's a surprise - Citizens Advice immediately deny this guy Anderson did anything and now look what has happened.Do they take their complaints cues from the Law Society by any chance? Kudos to you for sticking with it.Unmask these people pretending to be our helpers when they are anything but! I know of Anderson and I can tell you there is much more to come out on this one and names of other victims. 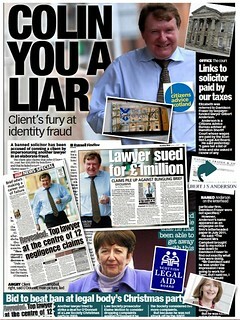 The Scottish Legal practitioners are a network of liars, criminals and theives. I would not expect the CAB board to investigate any lawyer. My family learned long ago if you are against a lawyer every door closes. Lawyers are legal filters, they prevent action being taken against each other by refusing to help clients. They filter out clients that need help from clients they will not help because to do so would ruin a colleague. This means they can exploit the masses by blocking legal rights as they see fit. It is the antithesis of a justice system. Clients are tools, to make money from, steal from, and repudiate as soon as they want justice against a lawyer. Victorian legal system Brian Gill, stone age is more like it. Get educated people and I am not being patronising because these lawyers are an omnipotence force of ruthless reprobates. Who is their next victim? Anyone want to go see a lawyer to find out? Go on have a go on the legal lottery? Both these solicitors should be charged with breach of trust and if the finding is not in thier favour be immediately struck off. Quite disgraceful that citizens advice tried to cover this up. Are SLAB trying to get out of this by saying they dont employ Anderson directly (but pay his wages)??? What kind of twisted logic is this??? 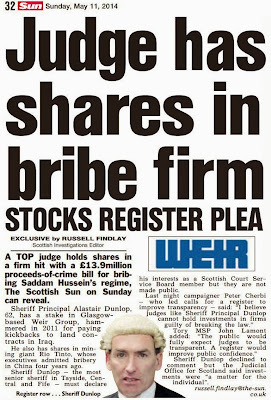 Another Scottish institution revealed as untrustworthy due to lawyers.Nice! Who next to be revealed as a crook? Well as you know there is criminal law and civil law, but the line is always blurred when lawyers are the culprits. They operate in their own space where theft, suicides and torture of clients do not get investigated. 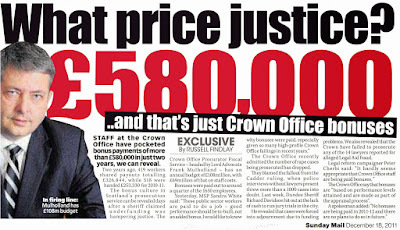 The Crown Office control the police and the Law Society are bedfellows with the Crown Office. As John Stuart Mill wrote "democracy does not mean freedom". Lawyer victims are not free because they are left rightless. 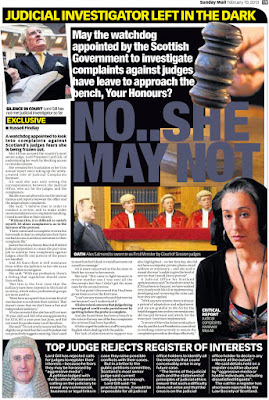 There is no space in Scotland to complain about a lawyer except cyberspace, and decent papers like the Sunday Mail. Why is the Criminal Prosecution Service investigating these 2, could it be that there is one law for solicitors (even ex-solicitors) and another for everyone else? 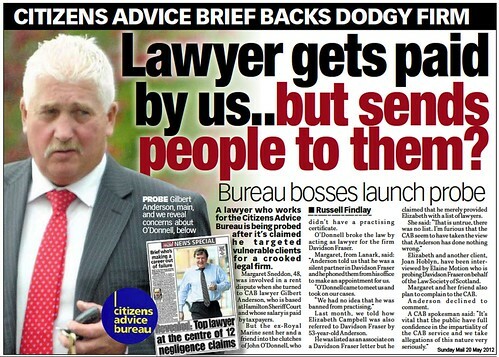 So the next time some idiot such as an msp or twit from the Scottish Gov tells you to go see Citizens Advice you can now say "They send you to crooked lawyers too" and point to what Gilbert Anderson did. I'd be prepared to put money on the notion this is much more widespread than we currently know about.. 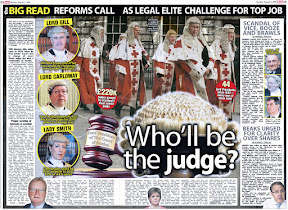 The Law Society are Scotland's legal dictatorship. You are 100% correct they control the Scottish Parliament, Local Government, and no doubt the CAB have been told they will be deined legal services if they ever need them. This profession are a network who control every office a member of the public will go to with a complaint. They are wicked calculating evil scum as the sooner the public catch on to these facts the better for them. When you are against a lawyer in 2012 it is like if you could build and use a time machine and you are back in the 17th Century, because rights against lawyers are the same as they were then. They can steal everything you have, drive your family members to suicide (it has happened) and you can do nothing about it. Rights for clients have never been included in the way the system was set up and human rights abuses will continue until these ruthless criminal reprobates are dealt with. Yes I live in Hamilton and the Law Society will have sent out a stern warning to the CAB, bury it or else. All the people who read A Diary of Injustice as I have for a number of years should warn their friends and children, especially the latter because if you don't some of them will be future victims. Protect them by telling them now, I just say lawyers are people who can steal all of your money and get away with it, so do not trust them when you leave school and go into the world. 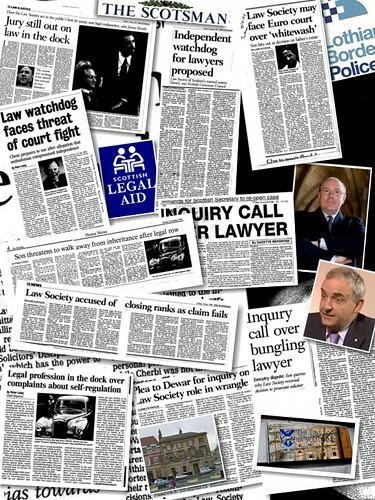 It is well known that it is the Law Society Of Scotland's standard practice to willfully and defiantly breach the Solicitor (Scotand) Act 1980 by allowing crooked Scottish lawyers to continue to pass themselves off as a lawyer whilst suspended, in order for those crooked lawyers to be able to continue to Fee unfortunate clients, to allow those crooked Scottish lawyers to continue to have a high standard of living at the expense of those unfortunate clients? The Law Society Of Scotland do so, knowing that many of the crooked lawyers clients will be severely damaged as a result whilst they know that they are above the law and that they will not pay any consequences for their unlawful actions? This is NOT limited to Hamilton CAB.I have similar problems here in Edinburgh after going to a Citizens Advice over the mess our lawyer made of our mortgage we now cant get any lawyer to touch us and CA say we may as well give up what kind of advice is this may as well lie down and die more like they are useless always suspected links to lawyers they were very reluctant to do anything and refused to put anything in writing for us can anyone help please? Adam, Haddington. I have been there, and I have said many times lawyers do not need to be careful in what they do because they are their own quality control. I wrote a letter to Hamilton Sheriff Court addressed to a Sheriff because everywhere I turned the doors slammed shut. It was a litigation case for occupational injury, and I found out later the Sheriff, Lawyers, and Medical Consultants who examined me and my employer all paid premiums to Royal Sun Alliance, so their insurers would have had to pay my damages. My leg injuries were covered up. The Law Society refused to investigate, and my GP got an NHS Orthopaedic Consultant to examine me. This report the GP refused to give me so I reported him and got the report. The report blamed my employer for my leg injuries, but one sentence said "I had been treated by a psychiatrist since 1982", and this report was written in 2002. The report went with my medical records to Hamilton Sheriff Court. It was a lie, if it were true the GP would have got a report from the Consultant Psychiatrist, but he did not exist. NHS Primary Care wanted to cover up the GP's corruption. The GP blamed the Orthopaedic Consultant for the mental health reference, so I sent the GP's letter blaming the Consultant to the Consultant. The GP stopped my incapacity benefit, (if my case had got to court he knew I would have found out about him deliberately misleading the Consultant about my mental health, but his body language gave him away) my lawyer refused to challenge him, and the Sheriff Clerk on behalf of the Sheriff wrote back that she could not comment on the case, and advised me to seek legal advice. I had no money to live on for five months, my family kept me. I believe now they arranged to starve me into submission because if I gave up their insurers were in the clear. 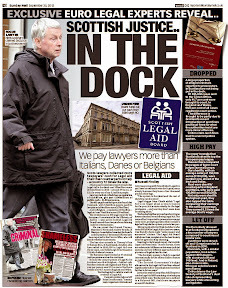 There is no Health and Safety at work, corrupt professionals make the legal aid money and you never get to court. Regarding your situation I have every sympathy with you but I promise you (and I hate having to write this) the whole system is now against you like it was against me. You will never get justice, they will shut you down. People become right less because all of these professions control everything. And they do sleep at night. I dealt with pure evil; I wonder what they would want to do to me if I had treated them the way I have been treated. Oh I nearly forgot, my GP wanted me to trust him again. I told him to make an appointment with a Consultant Psychiatrist. 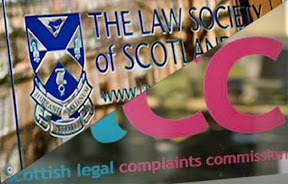 You wont get far with your local CAB because its now an offshoot of the Law Society.MacAskill opened a joint venture between them called LawWorks and I found on the internet some of the staff at Haddington CAB are also on Committees at the Law Society of Scotland. I personally don't have any problems with lawyers at the moment but after having read this blog I'd rather now go to the press first before going to Citizens Advice or the Law Society. This is NOT limited to Hamilton CAB. 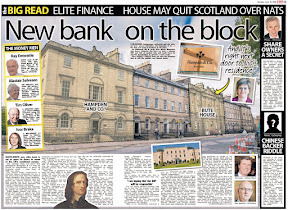 [YES I AGREE IT IS THE SAME ALL OVER SCOTLAND].I have similar problems here in Edinburgh after going to a Citizens Advice over the mess our lawyer made of our mortgage we now cant get any lawyer to touch us and CA say we may as well give up. [EVEN IF A LAWYER WANTED TO HELP YOU AND [THEY DON'T] THE LAW SOCIETY WOULD MAKE UP SOME STORY ABOUT THE LAWYER HELPING YOU AND WITHDRAW HIS OR HER PRACTICING CERTIFICATE}. 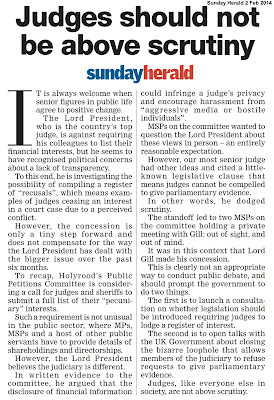 I WOULD NOT BOTHER WRITING TO YOUR MSP' EITHER BECAUSE THE LAW SOCIETY CONTROL THE PARLIAMENT. 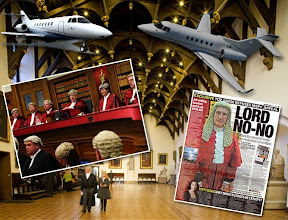 NEW LORD PRESIDENT, ARE YOU GOING TO LET THIS CONTINUE, INNOCENT PEOPLE BEING RUINED AND THE LEGAL PROFESSION REPUDIATE THEM TO SAVE THE LAWYER AND THE CORRUPT LAW SOCIETY MASTER POLICY THAT DRIVES PEOPLE TO SUICIDE RATHER THAN COMPENSATE THEM. LAWYERS ARE A NETWORK OF EVIL, WHO ARE VERY SELECTIVE IN WHO THEY HELP. THEY CAN DO ANYTHING TO YOU AND IF THEY CONTROL THE POLICE AND THE FORENSIC INVESTIGATION TEAMS WHAT IS TO STOP THEM MURDERING CLIENTS? THEY ARE BAD ENOUGH I HAVE NO DOUBT ABOUT IT. TRUST NO LAWYER. CAB IS FINE FOR CERTAIN THINGS BUT THE LAWYERS CONTROL THAT TOO. THEY CONTROL EVERYTHING BUT LIKE ME YOU ARE FINDING THIS OUT WHEN YOU ARE TOO LATE. WHEN MEMBERS OF THE PUBLIC TRY TO GET JUSTICE AGAINST A LAWYER EVERY BRANCH OF THE STATE CLOSES DOWN. IF YOU WANT MY ADVICE PRINT AND DISTRIBUTE LEAFLETS WITH YOUR LAWYERS NAME AND WHAT HE DID BECAUSE THAT IS WHAT YOU WILL NEED TO DO. EVERY OFFICIAL CHANNEL WILL SHUT DOWN ON YOU AS IT DID ME AND COUNTLESS OTHERS, THEY TRULY ARE UNTOUCHABLE, AND THIS IS WHY THEY ARE SO CORRUPT. 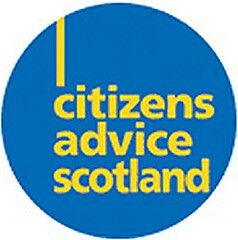 Citizens Advice volunteers will be logged with the Law Society, names, addresses and every Law Firm in Scotland will be told by the Law Society which is simply the Scotland's mafia not to provide legal services to CAB volunteers. If they need conveyancing or other legal services they will be blacklisted. This union have awesome power, and they are ruthless criminals. There is a thing in law called passing off, say a major soft drinks manufacturer cans of juice like Coca Cola have a competitor who's cans of Cola look very similar to Coca Cola's cans, that is passing off, trying to increase sales by imitating the more famous brand. It is illegal and O'Donnell is doing the same (with the dead lawyer) but O'Donnell will never be prosecuted because he is a lawyer. The state looks after it's own actors, as I am sure Mr O'Donnell will agree. All of Society would think that these two crooked Scottish lawyers should be jailed for fraud? However, the Law Society Of Scotland regularly allow their crooked member lawyers to commit fraud in this way by passing themselves off as a lawyer when they are suspended from doing so? Ask yourself this question, why is Elaine Motion (a Scottish lawyer who is the Law Society Of Scotland's Agent) looking into this matter for the Law Society when she was the Law Society's Fiscal who brokered a soft sanction for O'Donnell in the first place, as already reported? This is the nub of the regularly practised criminality? 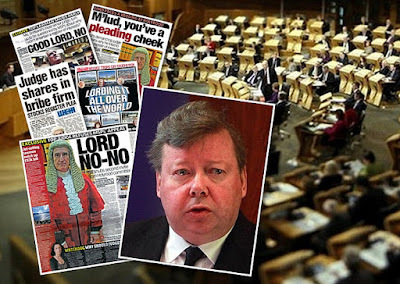 It should be the Fraud Police who are investigating this instead of Elaine Motion as Elaine Motion may well be a party to this criminality on behalf of the Law Society Of Scotland? These victims should be aware that this is not the first time Elaine Motion has acted in favour of a crooked lawyer and the Law Society together AGAINST the victim in a remarkably similar case.....? Victims......? And ZERO intention of abiding by the laws of the land? I hope the victims realise this before it is too late and ask the Police to intervene to jail those criminals involved? It is alarming that the CAB resort to the typical rebuttal, when caught out being involved in a fraud? 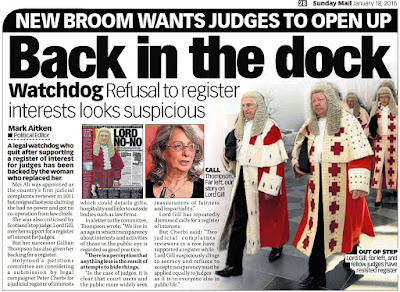 I suspect they are being advised by those dark actors at the Law Society Of Scotland on how to 'handle' this case and how to stay out with the law in the process all to the detriment of the poor victims? Where do Scotland's victims turn to now? 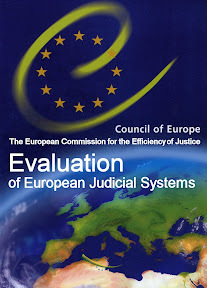 When all of the legal establishment organisations are totally corrupt and have shown by their actions that they do not act for Society but instead are guilty of institutionalised protectionism, the only remedy is for the Public to report to the Police And force them into correcting this evil within our Society? 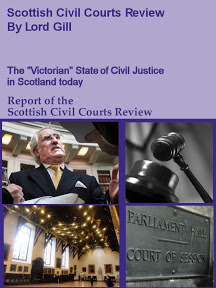 Given that the CAB are more concerned about how much faith the public now have in them (their reputation) instead of being concerned about the victims, it would be interesting to see if they will be complicent with the Law Society of Scot land in attempting to cover this up, or if they will widely publish an apology to the public if it shows that they willfully lied to the Public to attempt to protect themselves from being sued? Well done to the Diary of Injustice investigation team for reporting on this so that we really know what is really going on in Scotland? 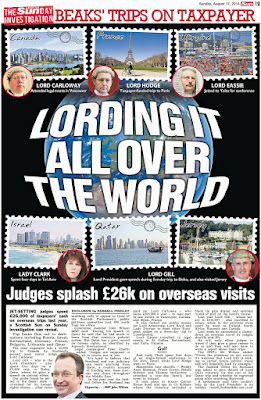 Also, hats off to the Sunday Mail for its consistent pursual of these criminals at the centre of the Judicial System in Scotland? Once again proving that they are the 'Go-To' paper in Scotland with the only real journalists left in Scotland. The rest of YOU 'so-called' journalists are the shame of Scotland and are taking your salary under false pretences? Now that the truth is coming out about these dark actors, the newspaper buying public will subliminally sway away from your newspapers as they will know that they have been repeatedly lied to over a long period and they will NEVER return to you? You are either part of the solution or part of the problem, there is no room for useless eaters sitting on the fence? The Sunday Mail have nailed their colours to the mast. Who of YOU will follow? Citizens Advice staff are on Law Society Committees ???? This is unfortunately too true? 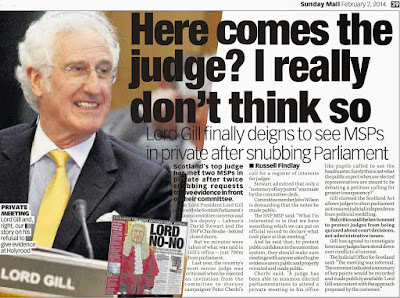 The Law Society Of Scotland are allowed to act above the law in Scotland? They do so while laughing at the pitiless victims of their crooked members and seem to take delight in twisting the knife into your liver and watching you die slowly....? Report this scam to them and ask for a Crime Number (if they give you an Incident Number, then this means they have NO intention of investigating the crime. It ust be a Crime Number)? Remember, it is a criminal offence for a policeman to refuse to investigate a suspected crime, bearing in mind you will be supplying him with a witness testimony to your experience? 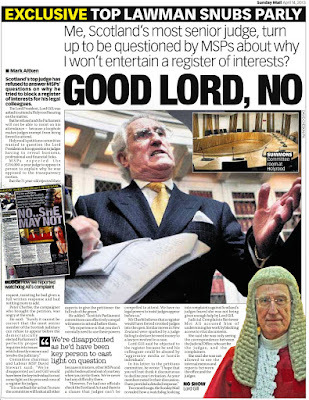 Whatever you do, do not trust any Scottish lawyer or anyone connected with the Law Society of Scotland? Until the Police root these people out, we have no safeguards whatsoever in society (you know, what Millions of our soldiers have surrendered their lives fighting for)? Remember, as a victim you have the right to ask the Police to keep you updated as to the progress of the investigation. Keep on getting updated until those responsible are arrested? You are the victim of a legal lottery, as are many others. When you went into a lawyers office here is what happened. You were welcomed until they realised what you wanted them to do, same happened to me, it is amazing how their expressions change when you want them to sue a lawyer. I am the person who left the comment about the corrupt GP and my litigation case. They taught me that even in a democratic country tyranny exists. 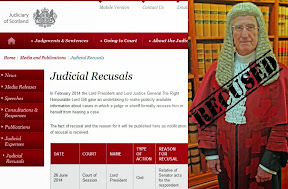 The Law Society SLCC and the court networks are not about justice. The only thing I have ever heard a lawyer tell me that was honest was "the courts are not for prosecuting dishonest lawyers". The lawyers court is an office system filled with people with client hating attitudes. They are not part of the legal system, their crimes are covered up by their unions. And the NHS Manager in Motherwell who knew my GP was lying in my medical records did a Law Society, he protected my GP. Doctors, lawyers, accountants, surveyors, Judges, Sheriffs all share the same insurers for this reason. For you to be compensated a Law Society controlled lawyer will have to take legal action against your lawyer and they are all insured by Royal Sun Alliance. The Law Society Master Policy which is mean to compensate clients never does. They control everything. That is why you cannot sue Doctors, Accountants and Surveyors. I am glad you are not finding this out through work related injury. Your lawyer knows you will not get legal help, as I said everything shuts down on the innocent client. They are vermin preying on innocent clients and when it all goes wrong they cover each others backs. Go the leaflet route, you will never name your lawyer through official channels. It is controlled by the Law Society as are all of Scotland's Police Forces. 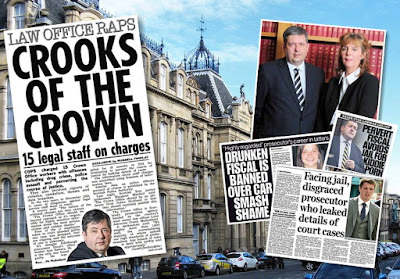 The Crown Office have to bring criminal prosecutions so even if the Police investigated and decided to charge Mr O'Donnell or the CAB Lawyer the Hamilton Procurator Fiscal and Crown Office are staffed by Law Society members who decide whether or not the case goes to court. In one of Peter's recent reports fourteen lawyers in the last five years involved in Legal Aid fraud, guess what, there was "not enough admissible evidence" to prosecute them in the Courts. If you are not one of the legal mafia you would be prosecuted for Legal Aid Fraud. It is a closed shop corrupt justice system which protects its own. You try stealing Legal Aid money you would have a spell of detention at Her Majesties Pleasure. The Sunday Mail have nailed their colours to the mast. Who of YOU will follow? Yes exactly and what we need is a feedback system. Feedback keeps the E Bay community safe, it will work against these criminals too. 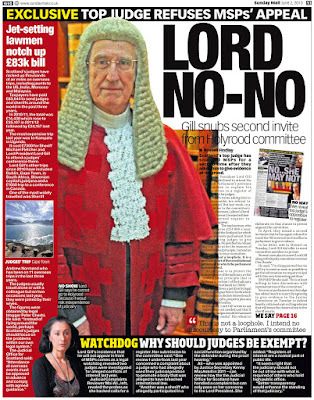 The Sunday Mail is a good paper and one of the reasons I buy it because of its journalism against corrupt lawyers. To the person who left this comment. You wont get far with your local CAB because its now an offshoot of the Law Society. MacAskill opened a joint venture between them called LawWorks and I found on the internet some of the staff at Haddington CAB are also on Committees at the Law Society of Scotland. Spot on please never trust them because being rightless where it is you against the state is the most lonely frightening place. You are right, to quote Peter they sit on each others committees so that their colleagues send clients on a wild goose chase. John Stuart Mill said "the first lesson of civilisation is that of obedience" and he spoke of the two states of the inclinations...."one the desire to exercise power over others...two the disinclination to have power excercised over themselves". He also said "democracy was no guarantee of freedom". Hannah Arendt the political theorist wrote "bureaucracy or a system of bureaus in which no one is accountable for what is being done and it is impossible to identify culprits" that sums up the Law Society and MacAskill who use bureaucracy where all the posts are filled with like minded individuals, who have made up their minds before they receive a complaint from a member of the public. 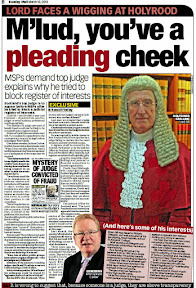 I will never till my last breath trust a Scottish Lawyer, and MacAskill he is a Law Society puppet who like all MSP's protect these criminals. The MSP's can change the law and end self regulation but they do not want to. Our sham of a parliament condone legal dictatorship. Only clients can regulate lawyers in cyberspace, just like E Bay a feedback system. 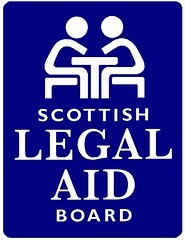 Haddington Cab & Law Society join forces.How many pro bono cases against crooked lawyers have they taken on and won? Answer NIL! Cabinet Secretary for Justice Kenny MacAskill is to officially open legal charity LawWorks Scotland's first advice clinic in Haddington on Monday, 26 September. LawWorks Scotland was launched earlier this year to promote and facilitate the provision of pro bono services by the legal profession in Scotland, with its first legal advice clinics taking place last month at Haddington and Musselburgh Citizens Advice Bureaux. The new LawWorks Scotland clinics have opened with support from Shepherd + Wedderburn, one of the charity's founding member firms. Justice Secretary Kenny MacAskill said: "Providing access to justice for people who need it remains a priority for the Scottish Government and I am delighted the first LawWorks Scotland Clinic is now up and running in Haddington. "This clinic will provide pro bono legal advice to people in a range of circumstances, including in relation to matters such as housing disputes, consumer issues and debt. Practitioners around Scotland have already signed up and I encourage others to follow their example, to help ensure quick, accessible advice is available for those in need." The charity's chairman, Ian Moffett, said: "We are delighted that the Justice Secretary is supporting LawWorks Scotland and will officially open the new East Lothian clinics. "We have been very encouraged by the support we have had so far from the legal profession. By continuing to work with front line agencies, such as Citizens Advice, we hope to build upon the success of these clinics and attract more law firms to work with us to develop a network of similar clinics across the length and breadth of Scotland to respond to a presently unmet need. "While LawWorks Scotland is at an early stage, we have made great progress since our launch in March which was supported by our patron, former Lord Advocate, Dame Elish Angiolini. An increasing number of leading law firms have signed up to join LawWorks Scotland, which in addition to providing them with a tangible expression of their CSR commitment, makes a difference that counts on the front line. It's our aim to emulate the success of LawWorks in England and Wales which has seen many of the bigger firms sign up to the scheme." Cameron Ritchie, president of the Law Society of Scotland, said: "The new LawWorks Scotland clinics shows real progress in the charity's ambitions. The Society is very supportive of LawWorks Scotland and providing pro bono legal advice to those who need it is a deep rooted tradition within the Scottish legal profession. 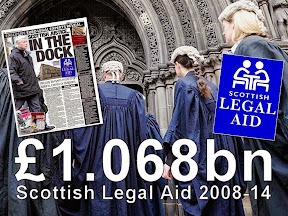 "While LawWorks Scotland's work can never be a substitute for a properly funded system of legal advice, the reality is that there will always be cases and situations which are not covered by the legal aid system. Solicitors working through LawWorks Scotland will play a vital role in plugging this gap, meeting the needs of those who require legal advice and widening access to justice." One of the fundamental principles of a democratic country is equality before the law. Now self regulation removes that equality because it leaves people rightless outside citizenship. The function of the state is to protect its citizens so Alex Salmond people without legal rights against lawyers do not have state protection. It is an outrage and shocking consequence of a rabble of lawyer loving MSP's who backstab their constituents for vested interests. The campaign is working Peter because every day more people learn what lawyers are. That is critical. Another great piece of journalism from the Diary of Injustice Team. Trust that vital factor in any worthwhile relationship is slowly ebbing away. For every client they ruin they harm a family, and they family tells others. The day will come when very few people want to go into a lawyers office. In many ways they are their own worst enemy and with more and more social media, The Sunday Mail, and A Diary of Injustice they are destroying their own reputations. Trust none of them. The terms of the complaints as seen by Diary of Injustice raise serious questions over initial denials of impropriety by Citizens Advice. Just like NHS Primary Care, The Law Society, Scottish Legal Complaints Commission and a myriad of other professional unions, Government Departments. Cover up and denial is the order of the day. When I deal with someone in an office who is handling a complaint from me I expect a cover up now. But when I tell them I will stand outside their office with their name on a board, their face turns a whiter shade of pale as the song says. Threaten to take your complaint out of the office, and most of the time the rat you are dealing with will come to see your point of view. You are a liar Kenny, a victim of a lawyer does not get a lawyer, no representation so no rights. I wrote to this crowd about my crooked lawyer and how the Law Society of Scotland also acted unlawfully against me in keeping their member from being sent to jail? 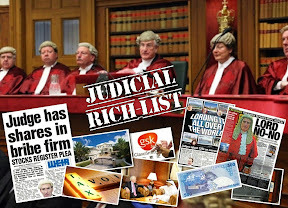 I was told that they only existed as a window dressing scheme to make the public think that they had access to justice, when of course the opposite is the case? Interesting that the CAB came out on the attack against one of their customers (victims) and vehemently defended themselves regardless of the facts of the case? It would seem that the CAB are now tainted by their close association with the corrupt and evil Law Society of Scotland? 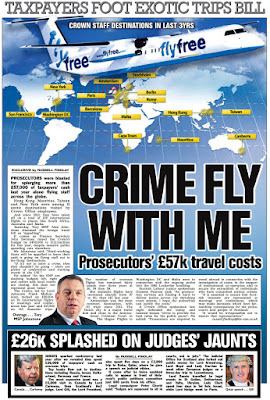 The only place's in Scotland to trust with anything to do with the Scottish Justice System is the team at A Diary Of Injustice and the Sunday Mail? The Law Society Of Scotland by its own actions is a criminal organisation that operates outside of the law of the land. Their staff are immune from prosecution themselves and they routinely defeat the ends of justice to protect their crooked member lawyers and to damage the members of the public? When lawyer will not take legal action against lawyer the whole system is corrupt. By blocking access to a hearing in court all lawyers are against YOU. Taking a simple legal problem to a lawyer can become a nightmare. We have an untouchable faction of criminals called lawyers, a state within a state and equally corrupt Parliament where MSP's allow the Law Society to do what they want to the people who voted for the MSP's. Indirectly people are voting for the Law Society of Scotland because the voters are the unlucky recipients of Law Society Policy. Shame on you Salmond, you may as well give Austin Lafferty your job because his faction call the shots and you betray the people of this country who voted for all of you. 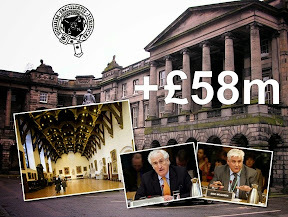 As Bentjudges.com state about the Parliament "the taxpayer got a £400 million bill and the lawyers got a ganghut". Read this part again everyone Mrs Campbell wrote : “On the Client Record Sheet produced by Mr Anderson (which I found in Davidson Fraser’s file) it clearly states on two separate occasions that he would endeavour to recommend a Legal Aid Solicitor to me. Also, on the back of this Client Record Sheet is a handwritten note “possibly in my mind a cash for Colin £3000”. 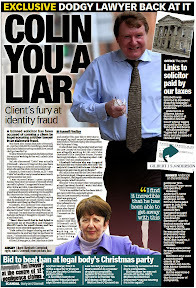 So Mr Anderson (being paid by taxpayers via the Scottish [il]Legal Aid Board has pound signs in his eyes while sending a defenceless vulnerable widow to one of the most famous crooked lawyers Scotland has produced in years. Is this the sort of thing we expect when we go to a Citizens Advice Bureau? Criminal charges must follow for all concerned in this scam including anyone who tries to whitewash these complaints. My best wishes to Mrs Campbell and hope to see justice in this case somehow. Keep up the fight Peter and keep helping people like Mrs Campbell.Well done Sunday Mail also for your coverage. Imagine the Law Society of Scotland, Scottish Legal Complaints Commission, Faculty of Advocates, Crown Office, Scottish Parliament, Scottish Courts System, are like an Octopus, all of the above are the head or centre and the tentacles are the periphery of Law Firms, Citizen Advice Bureaus, etc. On the periphery are lawyers who are there to protect each other and the centre. So in this situation there is no where a client or a member of the public can get legal assistance, just like the CAB Lawyer who send people to O'Donnell. The centre will take no action against any lawyer on the periphery because they are not concerned with justice, they have only one goal, exploitation of clients. You need to be a lawyer to enter the network, and they are also a brotherhood who protect each other no matter what their crimes. It is the antithesis of a justice system , it is not fit for purpose. This model reflects the reality, every office you go to has one of their agents who may help you in some circumstances but will shun you if you want a lawyer sued. It looks like you have been victimised twice? 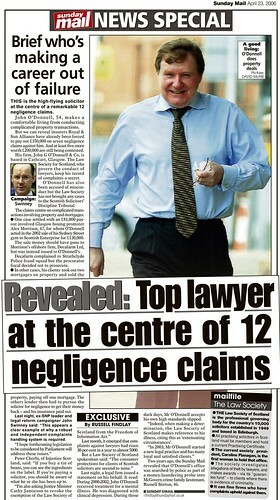 Go to the Police and report your crooked Scottish lawyer to them as well as CAB and ask them to investigate? Make sure you get a CRIME NUMBER (not an incident number) from them. An incident number means that they have no intention of investigating your complaint. A brush-off? Make sure as a victim you regularly ask the police for a progress report and make sure they are investigating properly by asking specific questions? All of my family and all of their friends no longer buy any newspapers apart from the Sunday Mail for the simple reason that all papers apart from the Sunday Mail are lying to the public about what is really going on in Scotland? 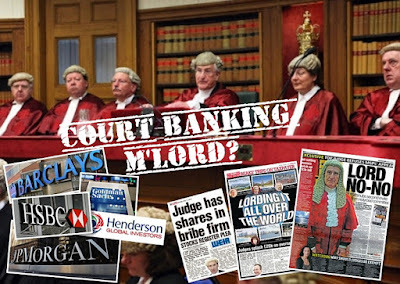 The Scottish lawyers act in an environment where they are completely protected and act above the law because the Law Society of Scotland are totally corrupt and the Crown Office are also totally corrupt? 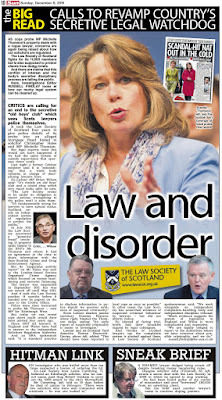 The police in Scotland are also only allowed to pursue lines of inquiry under the direction of the Crown Office and to a lesser extent directly by the Law Society Of Scotland, thereby the only Scottish lawyers we see being prosecuted are those lawyers who have 'crossed' the Law Society at some point or refuse to tow their party line? Eg, when a lawyers practice goes bust (where the lawyer has stolen client funds) the deal is that in lieu of the solicitor 'getting-off' with being sent to jail, the Law Society demand that they sign over all of the solicitor's business to the Law Society's coffers. Then the Law Society deliberately dispute any complaints from that Solicitor's victimised clients and deliberately dispute that those client victims had ANY monies lodged with that solicitor by 'asking the client to prove it' or by lying to the victimised clients saying that the bust solicitor's accounts are in such a state that it is impossible for them to determine if ANY monies are owed and therefore there is no money owing, whilst they salt away these monies as 'receipts from sequestration solicitors estates' in the Law Society of Scotland's official accounts? Feel free to check yourself by searching online.....? Same old story, I have been worked over three times over a period of time by the same lawyer who used to be a neighbour and family friend and I know how you feel. The good thing is, you know now, so do what I do, tell everyone, especially people who are currently using a solicitor. Incredibly refreshing. Hamilton CAB must be a right old gathering club for crooked lawyers LOOK AT WHAT I FOUND ! A Scottish solicitor who failed to pass on compensation awards to coal miners and their families has had his right to practise restricted for 10 years by the Scottish Solicitors' Discipline Tribunal. Paul McConville of the former firm of McConville O'Neill, Glasgow, admitted 40 cases of professional misconduct including ignoring requests for information from clients, MPs and the Law Society of Scotland. His failures involved tens of thousands of pounds payable as a result of death or injury to miners in the course of their work. It was alleged that after seeking clients entitled to claim under the compensation scheme, McConville failed to claim, or to pass on money offered. Individual claims were worth up to £9,000. McConville was not said to have taken the money himself and his firm has been made bankrupt. It was said for McConville that his actions were caused by depression and that stress following a fine being levied on his firm "led to an unacceptable pattern of dealing with things". The tribunal restricted him to working as a legal assistant for 10 years until 2022. He is currently working as a volunteer adviser with the citizens' advice bureau in Hamilton. wow!Who would have thought going to a citizens advice would get you ripped off just as much as going to some dodgy lawyer! I dont believe it,I know someone who is being 'helped' by this other guy and when I told him to read your blog he rushed round to my house with all the papers and it has Colin Davidson and Anderson written all over it and he has the same problems as your Mrs Campbell and Colin being called "John" all the time.Unbelievable this is going on in a Citizens Advice office.I am going to send you his papers when I have time to scan them all.Thanks in advance for any help you can offer. 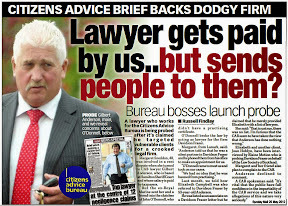 SO now we know where crooked lawyers go to work - Citizens Advice and paid for by us ! Don't complain about a lawyer, every office in Scotland is dedicated to protecting them. In countries with earthquakes there are thousands of deaths if buildings are not designed to be earthquake proof. The analogy is the same with Scottish Lawyers, the client has zero protection, like dangerous buildings but the buildings kill quickly most of the time. Lawyers are their own quality control through self regulation and this is why you are at great risk when you use one. Avoid at all costs, when they have infiltrated the CAB there are there to protected vested interests. Without MOT tests and Police Inspection of vehicles the accident rate on our roads would soar. There would be no laws to control dangerous motorists. Their are no laws to control lawyers. Oh if they drink and drive they will be prosecuted because drunk lawyers can kill their own, but theft, and other crimes they police themselves with the results we see on A Diary of Injustice. 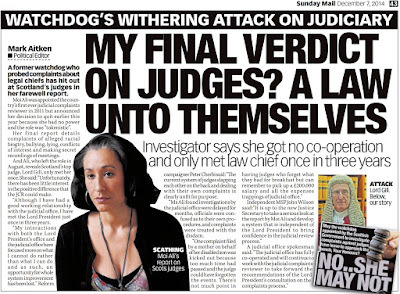 Scotland's lawyers are the hounds and individual clients the foxes who are ripped apart financially and emotionally to the point of suicide so that an unelected faction of criminals can reap the rewards of their crimes. Those who police their own ruin for profit and it must end at all costs. Power without control is dangerous. 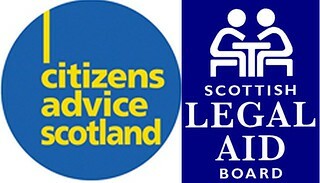 The Citizens Advice Bureau, another branch of the infamous Law Society of Scotland. From personal experience over the last ten years I promise everyone there is nowhere you can go to in this country to complain about a Scottish Lawyer. These latest revelations confirm what I have known for years they are all ruthless omnipotent criminals. Err I was introduced to O'Donnell as Colin Davidson I'll contact the paper or y ou if doing a follow up? Please note, no point going to the Police. 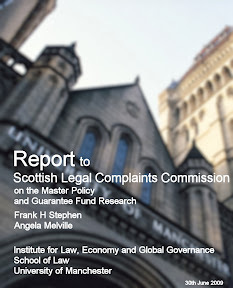 Even if they want to prosecute, their evidence goes to the Procurator Fiscal or Crown Office, and these officials are members of the Law Society of Scotland, who pay into the Law Society Master Policy. The Police collect evidence, lawyers take the evidence and ONLY THEY decide if lawyers are tried in the Scottish Courts. You have as much chance of getting a Scottish Lawyer into a Scottish Court as I have of reversing the laws of gravity. The legal system is designed so as to have lawyers in all the decision making bureacracies, they is how they avoid prosecution. The Crown Office and Procurator Fiscal decide who faces court, the Police gather evidence and as lawyer protects lawyer The Crown Office and Procurator Fiscal will side withe their legal faction. Justice against a legal professional in Scotland is utterly impossible. What is happening here is called a pattern, all CAB's will be the same. Oh pattern time again, when a lawyer is up to no good there is always a casual link established beetween his actions and his mental health. Just like when an employee is suing their employer for occupational injury, the injury is all in the employees mind, they have mental health problems. The RSI does not exist, they are imagining the pain. Depression, they use it all the time. Think about it by default they are saying cure the depression, Prozac and Cognitive Therapy and he miraculously becomes honest. So every car theif, embezzler, needs psychiatric treatment to cure them so that they do not steal. What utter B******t.
The lawyer-indemnity Cabal's "Closed Shop" has grown new tentacles. CAB now implicated in referring poor uninformed customers to struck-off imposter-lawyers (crooks). The Judiciary don't criticise lawyers misconduct in court (if you want to know why it all costs so much from the public purse that's why - intellectually dishonest submissions are allowed to go unpunished, despite the time tgaken up in countering them). It all has but one purpose - for lawyers to gouge as much money every year out of the non-lawyer public. The entire system is a sham. Lots of law for us, no law for the lawyers. The mentality is:- Oi you, Joe Blogs, shut up and hand over your money now, no arguments allowed! I totally agree (repetitive corruption) with you my friend, word of mouth, this they cannot stop and they think there are millions of potential clients so they will always have a supply of future victims. And A Diary of Injustice gets stronger by the day. Idiots, they sit in their offices and think they are invincible. But they are all the same, I have never heard of a lawyer helping a client who has been ripped off. They are all Douglas Mill's who think the profession must be protected at all costs. We must tell our friends, families, especially our teenagers, warn future generations. As Karl Marx once said "ideas get their material force once appropriated by the masses". What we have here is an organised minority of lawyers dominating the majority, with MSP's full blessing. An e bay type feedback system like Solicitors From Hell, oh they hate that. All the more reason to avoid them because they think they are so important no client has a right to criticize them. They think clients should just go away. No chance I have been fighting this profession for ten years, my justice is warning others which I do every day and will do until I die. 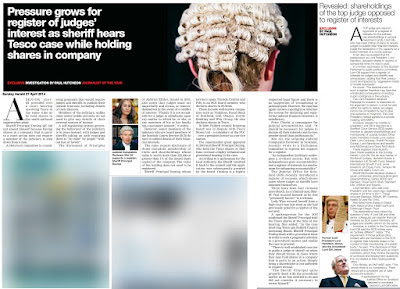 Lawyer Nicola Sturgeon and lawyer Kenny MacAskill, these two are Law Society lackeys there to protect vested interests and shape policy to suit the Law Society mafia. 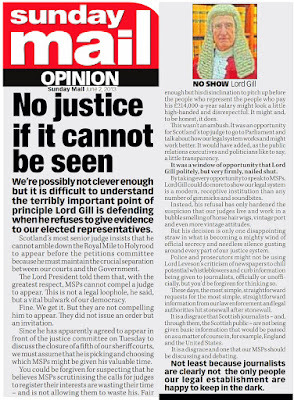 I agree with your comments of the status quo we have at the moment, where the crown office and the law society of Scotland are complicit in defeating the ends of justice? However, the police are the only ones who can effect change. The public cannot do it on our own? The first opportunity for the police to root out the criminals is to report Elish Angiolini to the crown office recommending prosecution for defeating the ends of justice, which should lead to their whole house of cards come tumbling down? 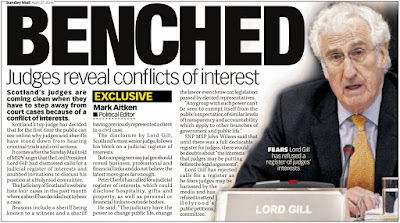 Elish Angiolini is currently under investigation by the Police regarding alledged criminal behaviour perpetrated by her whilst she was Lord Advocate in connection with the Hollie Greig scandal? Please, make sure you lodge this with the police and ask for a Crime Number (NOT an incident number - which means that the police do not intend to investigate)? 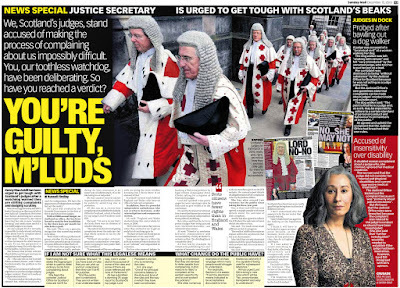 You are wasting your time with the SLCC as they are the Law Society Of Scotland in disguise and beware the Law Society trying to snuff your complaint out by getting Elaine Motion to save this crooked Scottish lawyer from the jail as she has been employed to do this in the past by the Law Society of Scotland in their pursuit to Defeat the ends of justice? If you report to the police, then by law they must investigate? 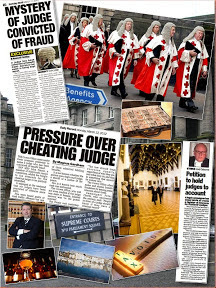 If you force them to investigate and they follow the trail of evidence that is prima facie evidence, then it is inevitable that those criminals at the Law Society of Scotland and employed by the Law Society of Scotland and those at the Crown Office will be sent to jail leading to a complete restructuring of Scotland's corrupt judicial system? Failure to report to the police, means that you are letting the Law Society of Scotland and Crown Office criminals continue to defeat the ends of justice and to cruelly victimise the general public? Is this another incident where the SLAB are exposed as being party to a fraud? 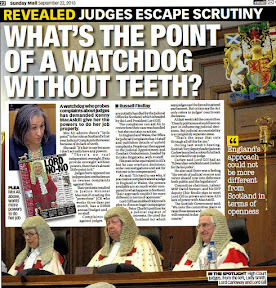 The police should be knocking on Elaine Motion's door and the Law Society of Scotland's door to find out why they regularly let crooked Scottish lawyers continue to pass themselves off as solicitors when they are suspended in order that they continue to earn a fat salary, whilst deliberately causing damage to their Clients? Such an alarming breach of the Solicitor (Scotland) Act 1980? This shows that it is a lie that the Law Society have any interest in The Client. It shows like their crooked lawyer members, they treat The Client as the enemy and do everything they can against the client and will act contrary to the law to protect their own crooked Scottish lawyers? What about pulling these numerous cases together, where the Law Society of Scotland and Elaine Motion are implicated in defeating the ends of justice and preparing a Dossier to be sent into the police for them to investigate? It could be called the 'Defeating The Ends Of Justice Dossier'? A copy being sent to the police and one to Alex Salmond? Sums it up perfectly, they are judged by their own bureaucrats, no law for them. Self regulation means no law to be enforced. Experiencing much the same at my local Citizens Advice regarding problems I've been landed in because of my solicitor.You can see their faces when I go in and I'm not supposed to know one of them is married to a partner in my former solicitor's firm - not one of them has bothered telling me and everything I've told them has went straight back to Mr Crook.SLCC are sitting on my complaint and doing bugger all for months. In court they ask potential jurors if they know the accused or the witnesses for obvious reasons. But they allow lawyer to investigate the lawyer who is the subject of a complaint to the Law Society. 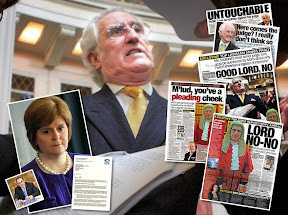 Report your crooked Scottish lawyer to them as well as the SLCC? 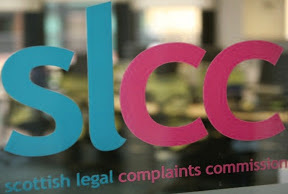 The SLCC are the Law Society of Scotland (just in another building)? Until the police go in against them and upturn their desks and remove their PC's for forensic investigation into their corrupt practices, we will continue to be predated upon by these mendacious crooks? 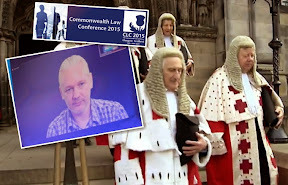 All you do by reporting your crooked Scottish lawyer to the SLCC is divulge your entire case to the Law Society of Scotland so that they can see where they need to wriggle round the facts of your case. Premeditated. Calculating and Evil? What kind of State are we living in? Scotland must be the most corrupt country by head of population in the entire planet? 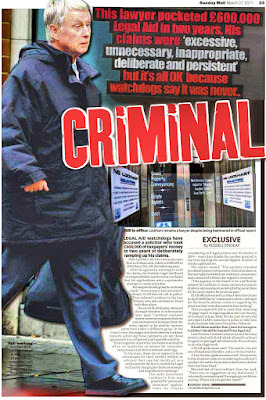 C'mon the police......you are supposed to be PROTECTING THE PUBLIC, not acting in favour of criminals in high places? 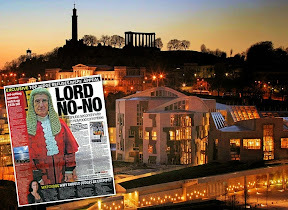 This case spotlights and incriminates the Scottish Legal Aid Board SLAB and the Law Society Of Scotland of acting unpawfully in favour of the crooked Scottish lawyers in Scotland and acting with sustained malice against the Public in general? According to reports, it looks like the crooked CAB guy was getting an unlawful bung of 3 Grand for bringing in a juicy new case for the crooked Scottish Law firm who were employing the crooked suspended lawyer? There needs to be a Police and then Public enquiry into this matter, for we need to find out for how long and in how many cases the CAB have been acting as a broker for Scottish lawyers by seeking out awkward cases for them, so that they can charge-up a huge fee for the unsuspecting Client or from the SLAB? Similarly, who placed this crooked Scottish lawyer with a law practice willing to take him on? 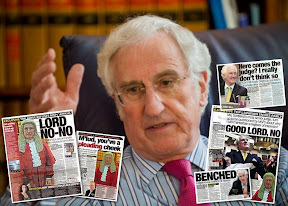 It is frankly ludicrous for a well known crooked lawyer being able to arrange for employment with a reputable lawyers firm as a suspended lawyer.....there has clearly been groundwork done by the Law Society of Scotland, possibly through Elaine Motion, to 'call in a favour' to allow this crooked Scottish lawyer to continue to work and to continue to charge fat fees all contrary to the law by letting him work as if they were above the law? Have you asked Elaine Motion for a response to her involvement? 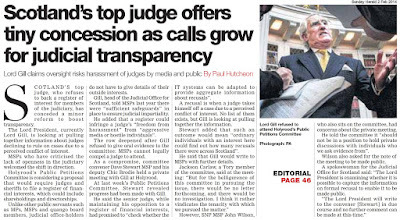 What has been the Law Society of Scotland press release about this matter, considering they have been exposed? 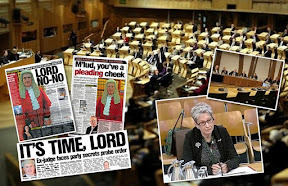 Is it now time for the police to investigate Elaine Motion, the Law Society of Scotland, the SSDT, the SLCC and the Crown Office to root out the criminals once and for all? Don't tarnish all the CAB workers with the same brush. There are some who go the extra mile for their clients. The lawyers firm Davidson Fraser knowingly employed a suspended lawyer (O'Donnell) and all of his clients would not be covered by the Master Policy block insurance. Therefore the victims are not not able to claim against this policy for this fraud? Given that this situation has resulted in a series of criminal acts, it is odd that the police are not already investigating the source of this crime? Have the Law Society of Scotland reported this to the police? Or are the Law Society of Scotland circumventing the law by negotiating with the crown office and thereby have been 'allowed' to put their own person 'Elaine Motion' in to interfere with the Justice process? How can Elaine Motion be involved in place of the police when she herself was directly responsible for giving O'Donnell a soft touch sanction already? Was Elaine Motion involved in arranging a place for O'Donnell to continue to wreak havoc by acting as a bona fidelity lawyer at the firm Davidson Fraser? 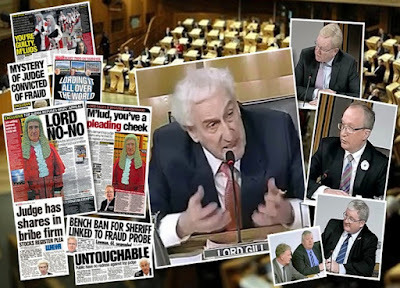 Are the Law Society of Scotland a party to this fraud and now they are trying to get themselves out of suffering the consequences by interfering with the process of law and order? Did the Law Society of Scotland give O'Donnell 'permission' to continue to act as a lawyer even though he was suspended in order that he could take advantage of the public and erroneously charge unsuspecting clients a fat fee? The police should get in their quick and follow the evidence back to the source? A LAWYER sanctioned following disciplinary proceedings is now working at Hamilton Citizens’ Advice Bureau. Paul McConville was carpeted by the Scottish Solicitors’ Disciplinary Tribunal after failing to properly progress miners’ compensation claims. Following a hearing in Edinburgh, the 45-year-old was told he was guilty of “fundamental misconduct”. McConville will not be able to work as partner within a law firm for 10 years. He will, however, be able to work as a solicitor... but only with Law Society approval and under the supervision of the firm for whom he works. Yesterday (Wednesday), Hamilton Citizens’ Advice Bureau manager Maureen Chalmers confirmed that McConville had been working as a volunteer with them since February, 2011. She said he had been “up front” about the disciplinary case and had undergone rigorous training before being allowed to work under supervision. McConville found himself up before the solicitors’ disciplinary body after handling the cases of Scottish coal mine workers who had been injured or died as a result of their work. He admitted allegations of misconduct after relatives of the miners failed to receive the compensation they had been awarded. McConville was a partner of Glasgow-based firm McConville, O’Neill between 2001 and 2010, when they ceased trading. During those years, there were a large number of cases of miners pursuing claims against the Government’s Coal Liabilities Unit. Although some cases were taken up by miners’ union lawyers, others were pursued by McConville’s firm. One client accused McConville of refusing to communicate with her over a £500 compensation claim, and a second woman said he had failed to progress a £9000 claim on behalf of a relative who died of lung disease related to mining. McConville insisted it had been accepted by the tribunal that there was “no question of dishonesty” and that “every penny of clients’ funds had been accounted for”. He added: “I regret that there were cases where for the reasons explained at the hearing, clients’ affairs were not progressed as well as they should have been and I apologise for that. “However, over the time my firm operated we had many thousands of satisfied clients on whose behalf we had obtained justice, but that does not excuse even one lapse. Ms Chalmers added: “Paul McConville has been a volunteer for 15 to 16 months. “He went through all the training and gradually built up his skills and now he is a fully-trained advisor and an excellent volunteer. “He has been up-front (about the disciplinary case) since he first came here. “We get volunteers from all backgrounds and in some cases we are offering them a second chance. “ I have every confidence in him.